Come to Mure; It is worth the trip: Jenny Colgan – Joyce's mystery and fiction book reviews with some non-fiction too! The Endless Beach is one of three novels set on Mure, a fictional town in northern Scotland. 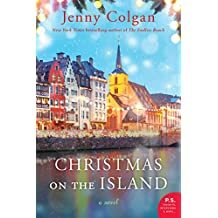 The first in the series was The Cafe by the Sea and the newest entry is Christmas on the Island. 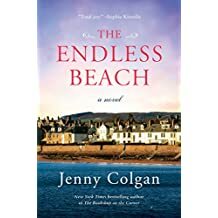 Jenny Colgan is a talented writer of light, humorous women’s fiction. I find that her novels are good reads for when I want to escape. 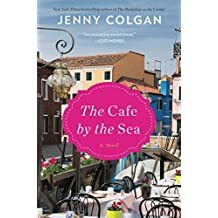 In this book, The Cafe by the Sea, the escape is to the fictional island of Mure in very northern Scotland. The scenery is beautiful, the family life complicated and the romance eventually works out as it tends to in this kind of fiction. Recommended for a relaxing, stressfree read. This novel picks up where the earlier one left off. It can be read as a standalone or as part of the series. In The Endless Beach, old characters are back and the town is as idyllic as ever, although the characters’ lives are not. Story lines felt deeper and more complex than in some of the other books that I have read by this author. The story of Saif was especially moving. A refugee and physician, Saif’s wife and sons were left behind in Syria when he was given asylum in Scotland. In this novel, his sons are located and the trauma that they experience is explored. The reader watches as Saif tries to help the boys to adjust. For a writer of light fiction, this is a story of some depth. Then there are Fintan and Colton, two gay characters whose relationship forms a key part of the novel. The author presents their deep love for one another while also making the reader well aware of a major obstacle that they face. No spoiler so I will not say more. Flora and Joel are also working on their relationship. For reasons that the reader comes to understand more fully, commitment is frightening to Joel. What will happen to them? Will there be a good next step for them? I found this to be the best book that i have read by this author. I was sorry to leave Mure but glad to know that I still have one more book in the series to read. If you have read/plan to read these novels, let me know your thoughts. Thanks.